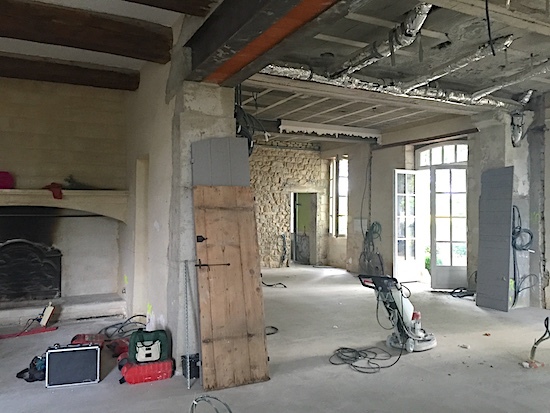 The first Blog entry about my interior design work at Le Mas des Poiriers focused on the construction work and its progress. In this second post, I’m getting more in-depth into the design and inspiration for the Kitchen of the Mas. 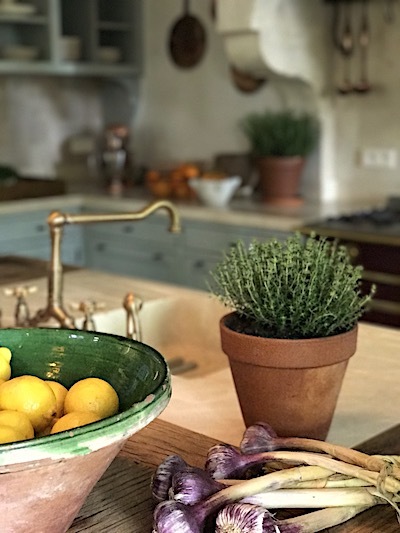 In this 18th Century French farmhouse’s renovation it was important to create a wonderful gourmet kitchen perfect for family gatherings as well as large catered events. 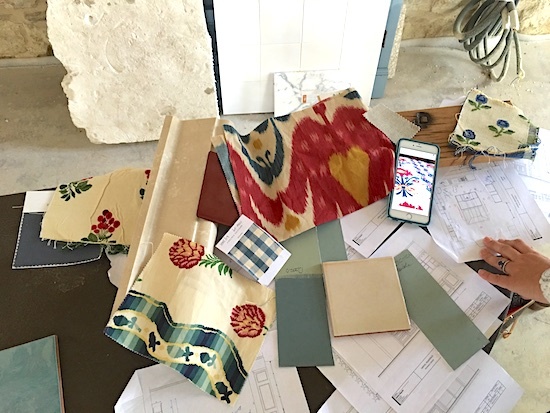 Our client had a definite design inspiration for the house – she wanted soft French blues and lovely antiques throughout the creamy plaster-walled interiors with added color in classic French fabrics. 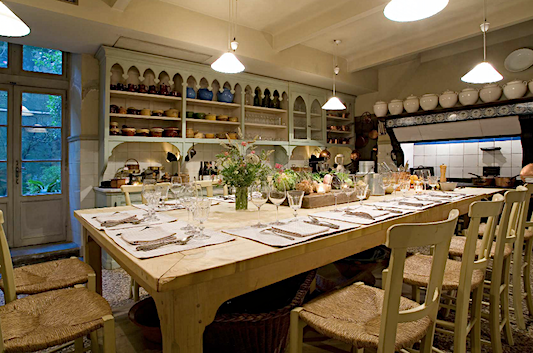 Of the local Provencal interior inspirations we gathered for the house, the cellar kitchen of the Hotel La Mirande in Avignon, France was a defining inspiration: it has the same inviting atmosphere we were seeking to have for Le Mas des Poiriers’ kitchen. 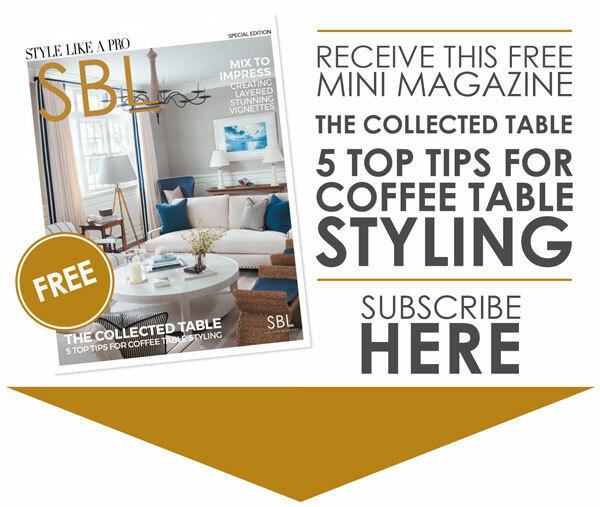 In particular, my client loved the large center island pictured above. The casual, intimate feeling with the hooded stove at the end and adjacent open shelves was very appealing. 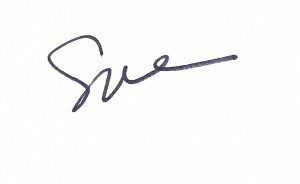 Getting this same charm and country sensibility, while translating the proportions for a larger kitchen, was important. A shot of the Kitchen after the wall was removed to open up the original Kitchen space. 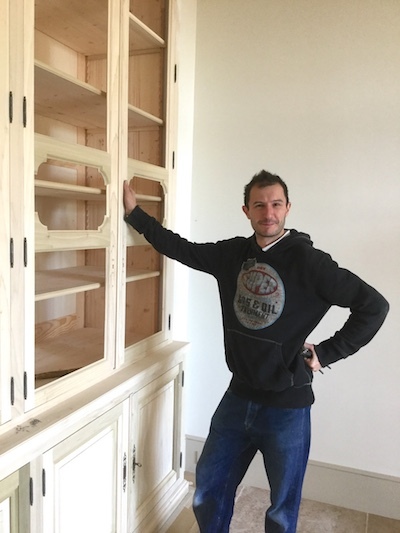 Francois posing on the job during cabinetry install. 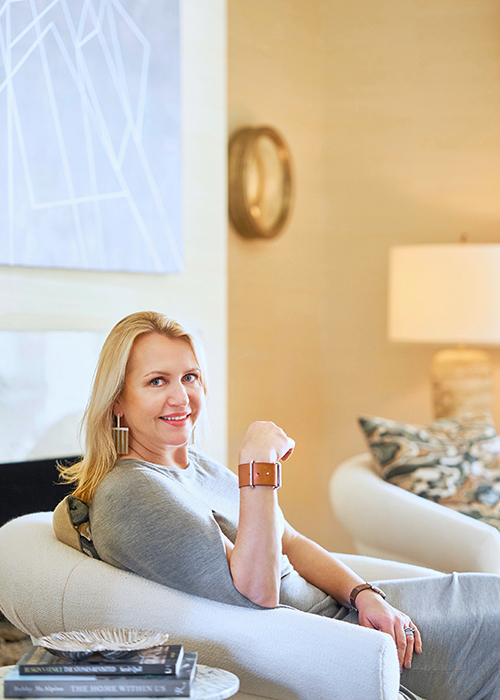 Having collaborated with Debbie Blumencranz previously to design the kitchen cabinetry in our Mountain Ski Retreat, we knew she’d be a great addition to the project. 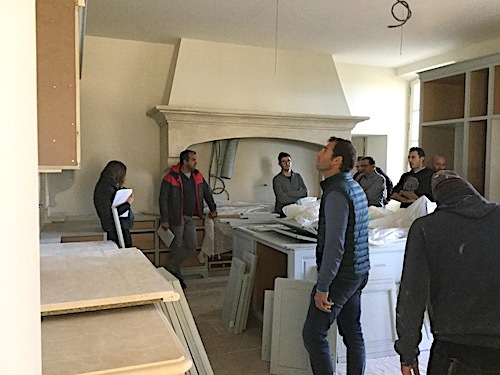 She coordinated the cabinetry details to ensure the local millworker, Francois Reynier, produced the cabinets with the functionality and construction to which our client is accustomed. Francois’ cabinet shop had done the original construction of the La Mirande kitchen and he understood the look we wanted to emulate. Materials laid out on site with the Breakfast area fabrics to confirm the Burgandy La Cornue range. 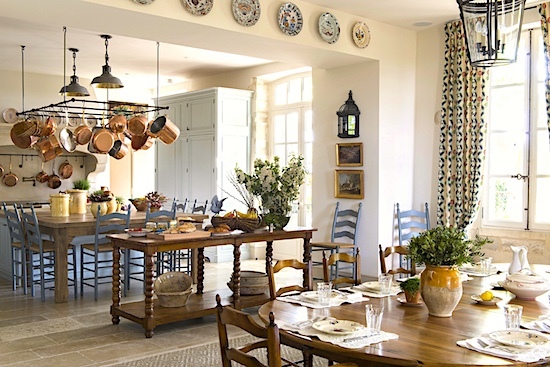 For me, getting the right balance of materials and details was tricky, but it all worked out to give the right blend of Country French charm and modern conveniences. Alexandre LaFourcade inspecting the cabinets at our site visit. 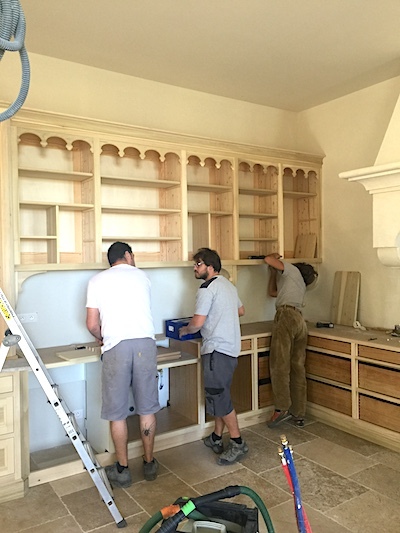 Installation of the cabinetry just before on-site painting. 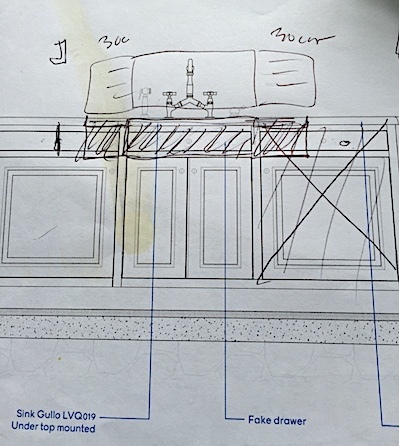 My quick sketch for the stone vendor of the custom Limestone sink and side dish drying racks to be flush fitted into the reclaimed Oak wood island. This design allowed us to get a sink in the large island, but also keep the water contained to a durable surface to protect the wood finish longterm. The final carved limestone sink installed in the island with its stone dish rack surround. Custom black iron knobs and pot rack add to the authentic French feel. The anchor of the Kitchen is the stove is centered on the back wall under a large limestone hood. This is aligned with the large wood island visible from the adjacent Breakfast and Family areas. We wanted this wall to pop and relate to the rest of the decor. To contrast the soft Farrow & Ball Light Blue cabinets, I chose the bold color of Burgundy for the La Cornue Grand Palais range. This color compliments the classic Pierre Frey fabrics in the adjacent Breakfast Room and works nicely with the creamy stone counters and floors. The dishwashers and refrigerator are hidden behind custom wood cabinetry to maintain the authentic country look. Open shelves designed to showcase collected french creamware and china. A found antique table used for serving separates the Kitchen work area and breakfast table. The overall space is light and neutral with its antique Oak wood island and limestone counter contrasting the pale blues of the cabinets and counter stools. 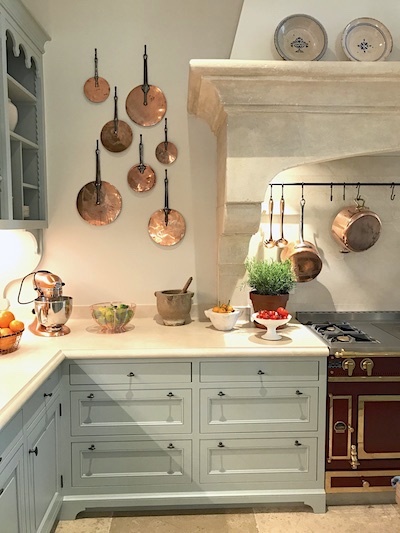 Iron details in the hardware and custom pot rack compliment the copper pots and antique decorative fixtures from London. In an effort to make the large gourmet Kitchen feel warm and inviting, we carefully added the final layers of decorative elements. 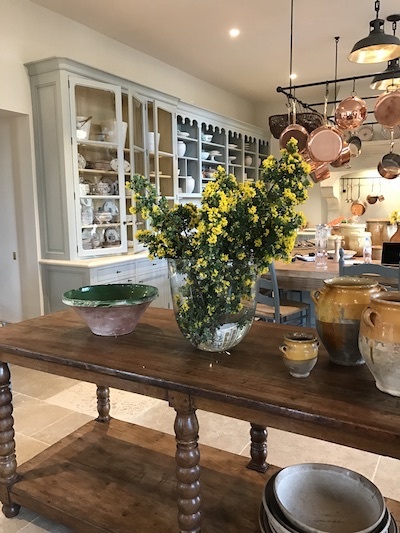 Careful finishing touches like the painted blue counter stools, collection of copper pots, antique French pottery, and pastoral oil paintings arranged around the room complete the space and give it that casual, country French feeling.